She may be politically incorrect but the locals love her and won't let her go. 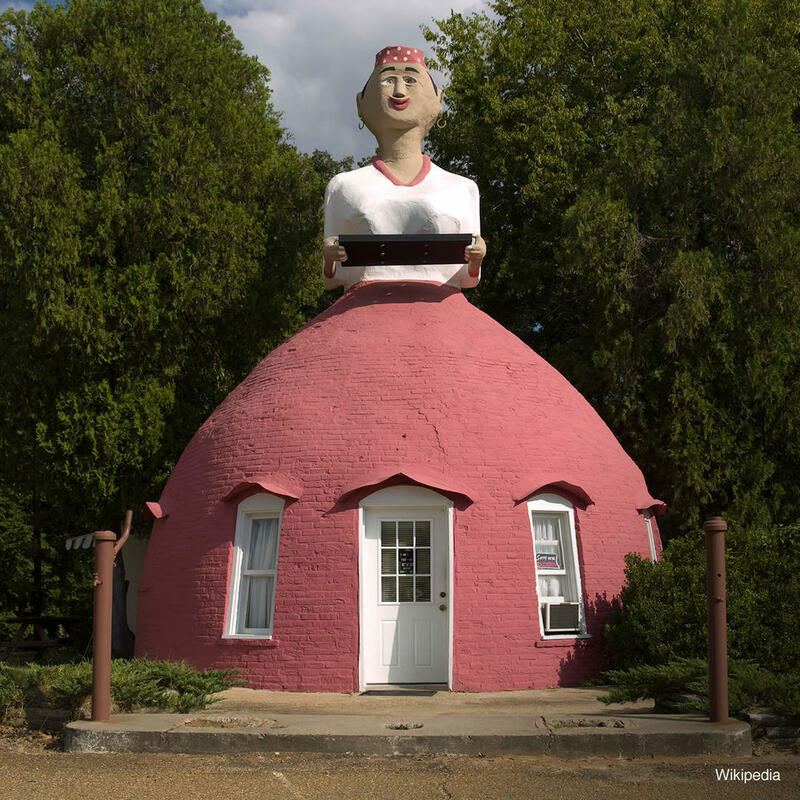 Mammy's Cupboard is a restaurant in the shape of a huge Aunt Jemima and her petticoated skirt provides the cover for the dining area. The interior is just as charming and cute as the exterior and the fare is all comfort food - lunch and desserts.